Tech & Learning's Tech Forum Chicago will take place at the Lincolnshire Marriott Resort in Lincolnshire, IL on Friday, May 3, 2013.We have arranged for preferred hotel rates for Tech Forum attendees. When making reservations, be sure to mention that you are attending Tech Forum Chicago for correct group block booking and a special room rate of $129.00 (single or double occupancy), plus applicable tax per night. Deadline: April 17, 2013. Select your check-in/check-out dates, number of rooms, etc. and be sure the section entitled Special Rates & Awards is expanded to show the Group Code of TFCTFCA, otherwise enter it under group code section and click Find. Simply follow the prompts to finalize your discounted online room reservation. If further assistance is needed, please contact Diana Milbert, Event Director, at 415-728-7842 or diana@dmeventspro.com. 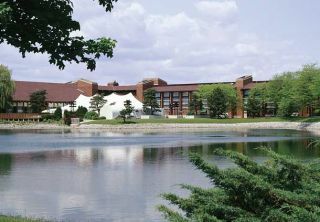 Situated on 175 wooded acres on the North Shore, the Lincolnshire Marriott is a renowned Chicago area meeting resort catering to every need.The resort is located 18 miles from O’Hare and approximately 30 miles from downtown Chicago. Parking: Lincolnshire Marriott Resort offers complimentary onsite parking.